Muscular Dystrophy has long been supported financially by the Jerry Lewis Telethon, childhood cancer has been helped by Alex’s Lemonade Stands, and the Salvation Army’s bell ringing and red kettles are ubiquitous during the holidays. So, when it comes to fundraising for “a cause” what does water have? The fight for access to clean water for everyone globally may not have iconic TV shows or a designated color for an awareness ribbon, but our progress depends on the same type of grassroots fundraising that has become synonymous with other causes. So, to answer the question, “what does water have?”— water has all of us. Frequently, in my Dr. Water blogs I talk about scientists, engineers and advocacy leaders and what they are doing to drive innovation and progress in the water industry as well as the communities we serve. But today I put the focus on the people who may not be experts in water or even in a water profession, but who nonetheless could be considered the heroes of water and are making quite an impact. These water heroes, in fact, fuel the work of water charities such as Water for People. And they depend on a grassroots network of fundraisers. A few weeks ago, American Water had the honor of standing beside water heroes from Water For People. Water for People aims to assist the 1.8 billion people around the world don’t have access to safe water and 2.4 billion who lack access to adequate sanitation. Through our companywide giving campaign, American Water presented Water For People a check for $232,000. Fundraising in support of charities takes time, planning and commitment, and is supported often by donors who have personally been touched by the cause. Those challenges can be significant for water charties because our donors may not have had to personally deal with the hardships of having to go without water on a daily basis. So who will stand up for water? Everyone has a role to play. It is through the combining of all the individual efforts and contributions that we make an impact. Just as 4,520,000 individual drops of water can fill a bathtub, dollar-by-dollar we can help advance charitable water missions. When it comes to the global water effort, there simply is no drop in the bucket! Every act of giving is vital and can make an impact on the global water effort. 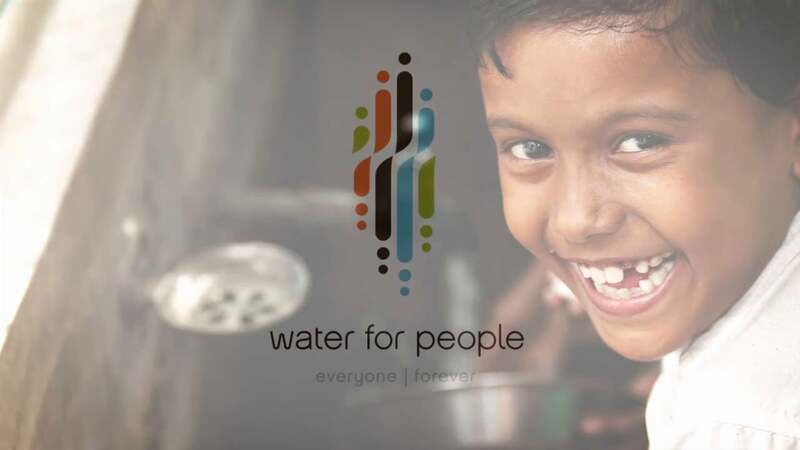 If you’d like to support Water For People, please visit them at their website at www.waterforpeople.org.